Date/Time - 9 & 10 January, (Monday & Tuesday), 7.30 p.m. – 9 p.m. Description - The deity of Jesus Christ is central to the Christian faith. Nevertheless, a number of scholars have cast doubt on this doctrine. Join Dr Andrew Loke as he responds to prevalent assertions and examines the historical evidence of early Christianity. 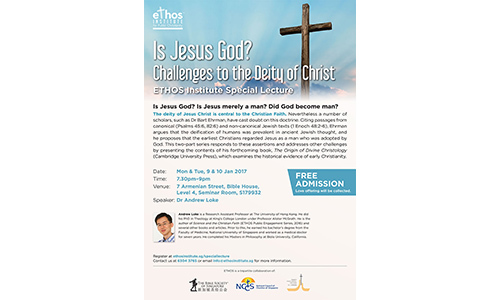 Organised by ETHOS Institute™ for Public Christianity. Register at ethosinstitute.sg/speciallecture. Free admission. 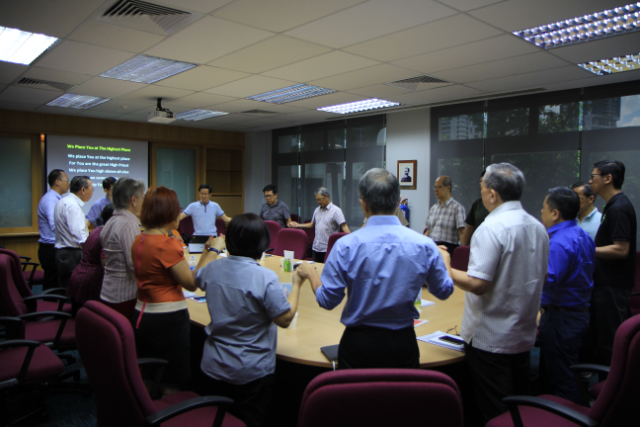 For more info, visit ethosinstitute.sg/events/isjesusgod, email info@ethosinstitute.sg or call 6304-3765.